Product prices and availability are accurate as of 2019-04-12 06:48:09 EDT and are subject to change. Any price and availability information displayed on http://www.amazon.com/ at the time of purchase will apply to the purchase of this product. 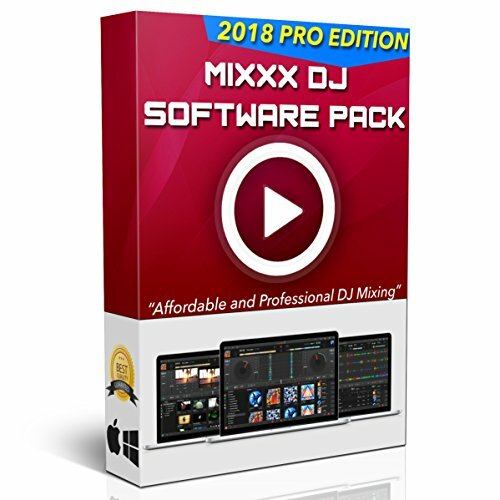 This software has all the features a DJ needs. Whether you're a pro, a beginner, or looking to do karaoke you can get the job done with this tool. It's compatible with the most popular DJ controllers by Pioneer, Hercules, Numark, Mixvibes and more. Record your live mixes to the lossless WAVE or compressed Ogg Vorbis formats, and optional MP3 support. Recordings are automatically archived in the library for fast access.  Stream / broadcast your mixes live over the internet to your audience and friends through a Shoutcast or Icecast server. Song gain is automatically adjusted when loading a deck so your mixes always maintain a consistent volume. Mixxx reads existing ReplayGain tags and analyzes songs that don't have them. 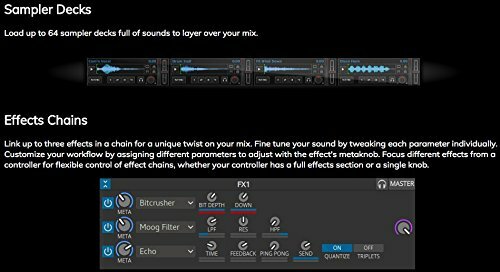 Quad Microphone Input: Whether you're dropping thick reggae vocals over some dub, giving shoutouts on the air, or throwing a rap battle, microphone input is as easy as toggling one of the talkover buttons. Free Bonuses: Over 1,000 high quality DJ sounds, tools, effects, Celebrity drops and more. Premium support & tutorials. You'll already be ahead of the average DJ! Feel free to ask questions below! 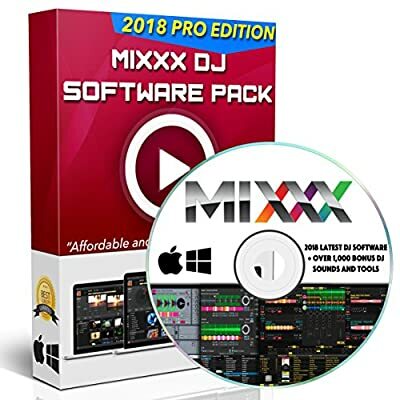 Mixxx Pro DJ Software is the perfect solution for DJs and beginners looking for an affordable solution. It has all the features of professional DJ software but can be navigated by any one! Core Features: BPM Detection and Sync. Auto-DJ. Built-in Effects. Powerful Music Library. Vinyl Emulation. Powerful Master Sync. Intuitive Pitchbend. EQ and Crossfader Control. Supports many audio formats. 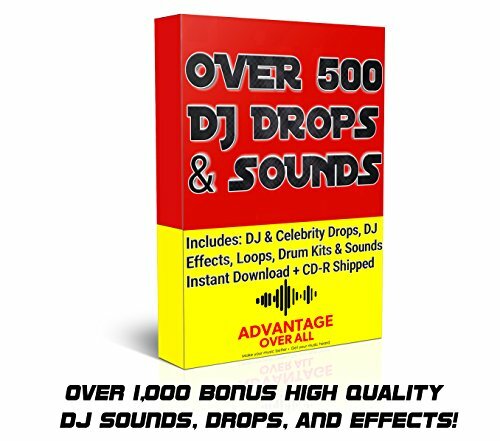 Bonuses: Over 1,000 high quality DJ sounds, tools, effects, Celebrity drops and more. You'll already be ahead of the average DJ! Also a full user manual and premium customer support. If you have any issue you will not be left in the dark. Compatibility: Windows 10, 8 / 8.1, 7, Vista PCs and Mac OS (10.6 and above). Works with over 85 external DJ controllers by the most popular brand (Pioneer, Hercules, Numark, Mixvibes etc.) 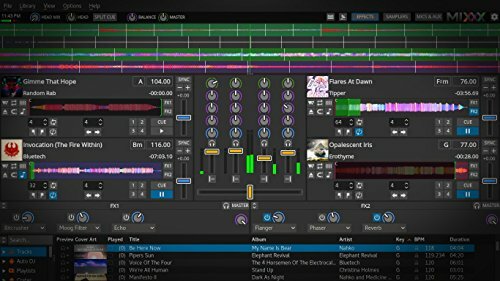 Best Alternative for: Virtual DJ 8, Traktor Pro 2, Numark, Pioneer, Serato and other DJ software. 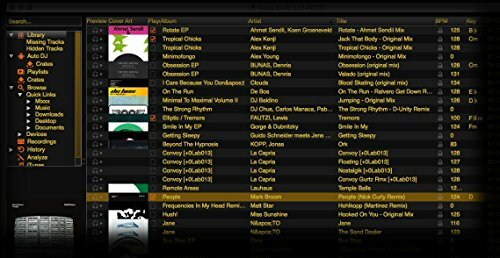 This light weight DJ software is great for live performances, beginner friendly but great for professional DJs.